RIDGID R86065B 18v CORDLESS BRUSHLESS BELT SANDER W/ DUST BAG - BRAND NEW !!!!!! 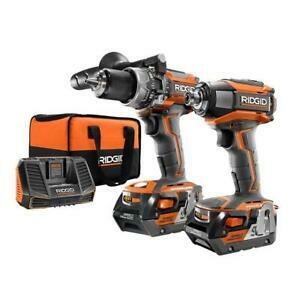 Details about RIDGID R9205 Gen5X 18V Brushless Hammer Drill and Impact Driver Combo Kit !!!!!! Immediate payment of US $194.90 is required. Smooth transaction! Prompt shipping, brand new really tuff drill. Ridgid Gen5 has performed very well. These tools have the feel and power of far more expensive drills at the fraction of the cost. 4.0 Amp battery lasts longer than smaller batteries. Just as I said. These are the best power drills ever made!